As twilight hits the southern edge of Mexico City, campesinos (peasant farmers) glide through narrow canals between pastures as they make their way over the water to deliver crates of produce. 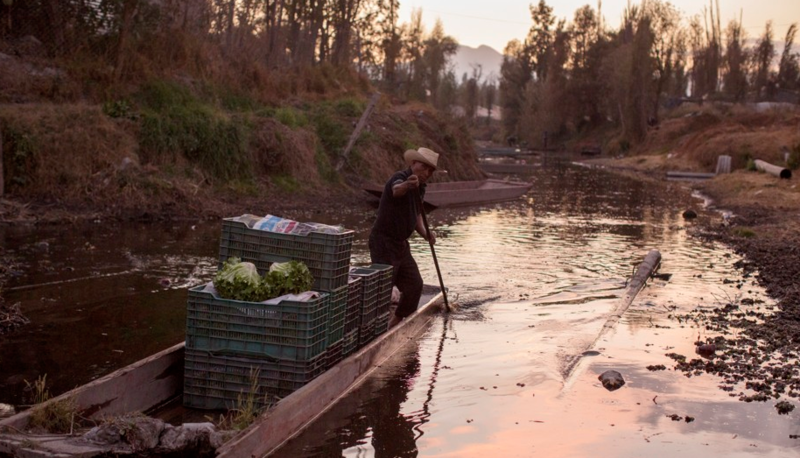 It’s January, the middle of the dry season, and through the slopes of the surrounding hills and volcanoes, desiccated lettuce and spinach fill the fields amid the lagoons of Xochimilco. San Gregorio Atlapulco, in Mexico City’s Xochimilco municipality, is the last bastion of the once great chinampa economy. During Aztec times, it functioned as the motor for the sustenance of up to 1.5 million people in the Valley of Mexico. Tenochtitlan, the island capital of the Aztecs, is where the Mexica built their pyramids in the Lake of Texcoco. 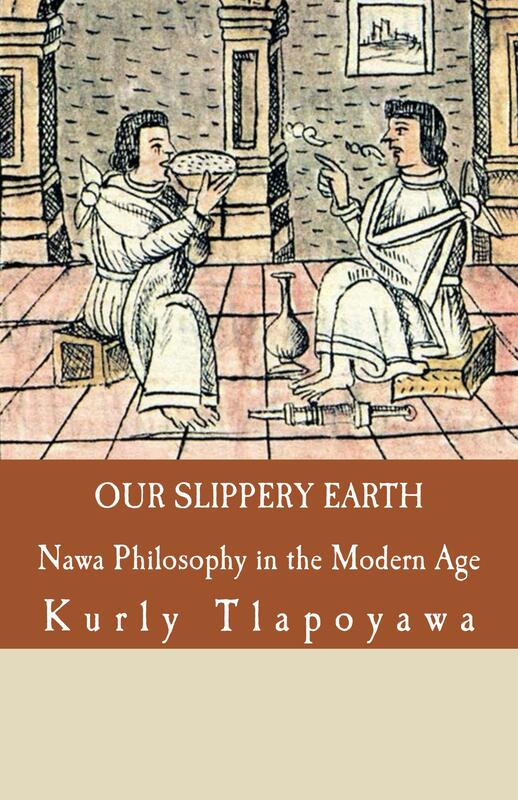 It was intimately integrated with a vast system of agricultural fields, called chinampas. These made up the aggro-industrial complex of what remains one of the world’s largest cities. Jaime Fernandez, stevedore in charge of loading produce from the boats onto a truck, has three days off per year: Christmas, Mexican Independence Day, and Day of the Dead. All year long, 80 tons of produce arrive daily to the four trucks waiting on the bank of the Pixcalli canal as if growing season never ends. “Chinampas can be a good business if you work at it,” José says. 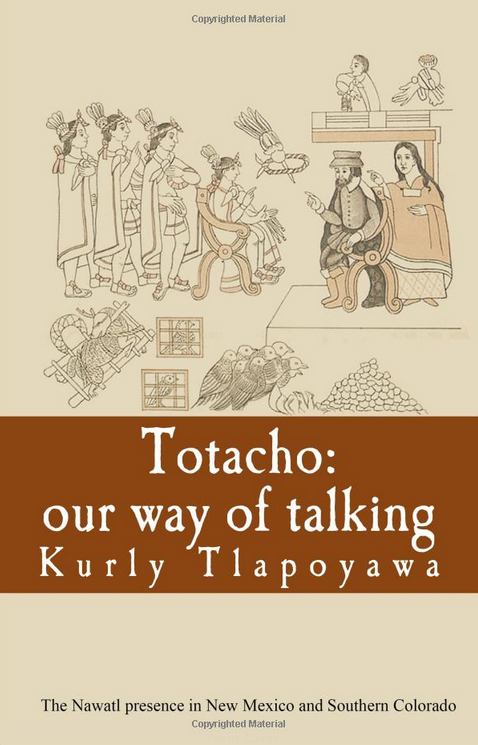 Interested in traditional methods of Mesoamerican timekeeping? Our Mexikah Calendar is now available for purchase! This is a beautiful, full-color calendar that utilizes pre-Kuauhtemok sources to provide an accurate correlation for the year 6 Rabbit (2018).